Forget for a moment the oddity of my inner self’s query. I was, after all, standing in front of the truly awesome “La Macelleria” (butcher shop) at the newly minted Italian mega-market EATALY in Boston. Any one of the offerings in the glassed-in case before me would have made for a fine final death row meal. “A 2-inch thick, bone-in ribeye seared over a flaming fire for 4 minutes a side until just a thin line of red remains in the middle, with a side of rosemary rosti potatoes and flash-fried zucchini flowers!” I said aloud to the inner voice. I am not alone in my belief that of all of the world’s wines the noble Barolo from the Piedmonte region of Italy would be the most appropriate for a final sniff and sip. There are many Italians who, no doubt, would concur with this Irishman that the wine of kings is the one to have when you’re having your last one. Barolo is made from 100 percent Nebbiolo grapes grown in DOCG Barolo region. The Nebbiolo grape is small, dark and tannic, and is noted for its acids. It is a grape that is difficult to grow outside its home region and one that can be susceptible to dramatic changes in weather. The 2017 vintage has been a difficult one in the region due to a prolonged heat wave, which was given the name “Lucifer.” Harvests in Barolo this season began up to three weeks earlier than in average years. Barolo consists of a series of valleys filled with microclimates and small patches of terroir that create vast differences in the wines. The defining climatological influence is fog that rolls in on the summer heat and cools the grapes. There are 11 different communes, or villages, in Barolo but nearly 90 percent of the wines come from five subzones of the region. Starting in the northwest and moving counter clockwise they are La Morra, Barolo, Monforte d’Alba, Serralunga d’Alba, and Castiglione Falletto. 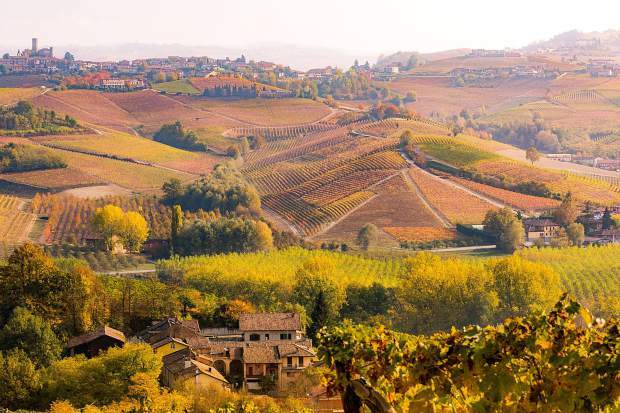 Variations in soils and exposure to the sun or fog can create differences in the style and quality of the wines from the five communes that delight lovers of Barolo. 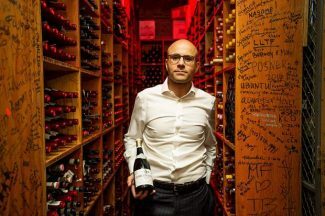 Italians especially relish debates about things like whether a wine from the Brunate vineyards of La Morra can produce wines as rich and intense as those that originate in Bruno Giacosa’s Falletto vineyard in Serralunga d’Alba. Back in Boston, I stopped in EATALY’s exceptional wine shop and received a taste of a Barolo from Fontanafredda, a longtime family producer in the Serralunga d’Alba commune. While not quite worth dying for, the wine was supple and rich and did what I love most about a wine — it took me to a place. Now, if I can just get a 2-inch, bone-in ribeye, some taters and a handful of squash blossoms.